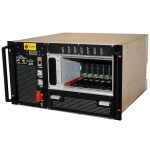 The Annapolis Wild40/100 EcoSystem™ includes a ruggedized 3U OpenVPX chassis with a backplane specifically designed for 40/100Gb signaling. 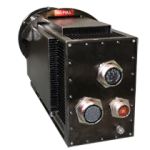 This 3U OpenVPX chassis includes both a mesh and daisy chained backplane architecture for direct board-to-board communication. For the control plane, an Ethernet switch is used to provide 1 or 10GbE to each payload slot.